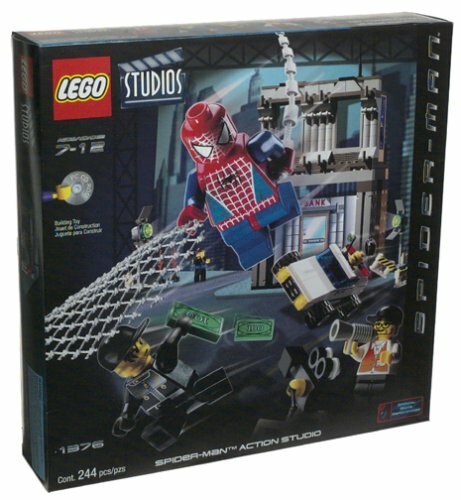 Now you can bring the excitement of the Spider-Man movie home with the Spider-Man Action Studio. Help the web-slinging wonder give the police a hand by webbing up the bank robber. The LEGO Studios camera crew is on hand to catch all the action as it happens. Included with this set are Spider-man, a bank robber, police officer, police cruiser, bank, and more.